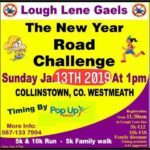 The New Year Road Challenge 5K and 10K Run in Collinstown Co Westmeath. Sunday 13th January 2019. 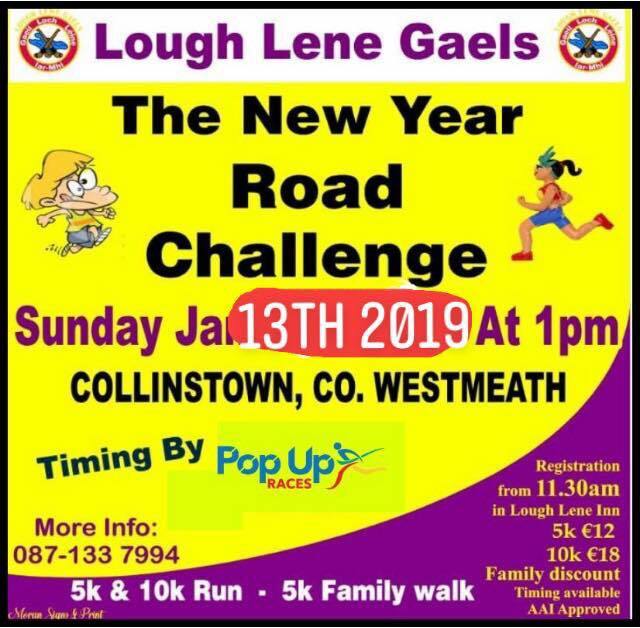 Race starts outside Lough Lene Inn at 13.00 sharp. Excellent prizes available for all from Juvenile to Adult categories. Pop Up Races are more than just a chip timing business, we can manage your whole event from planning right through to post-event evaluations. © Pop Up Races 2019. All Rights Reserved.